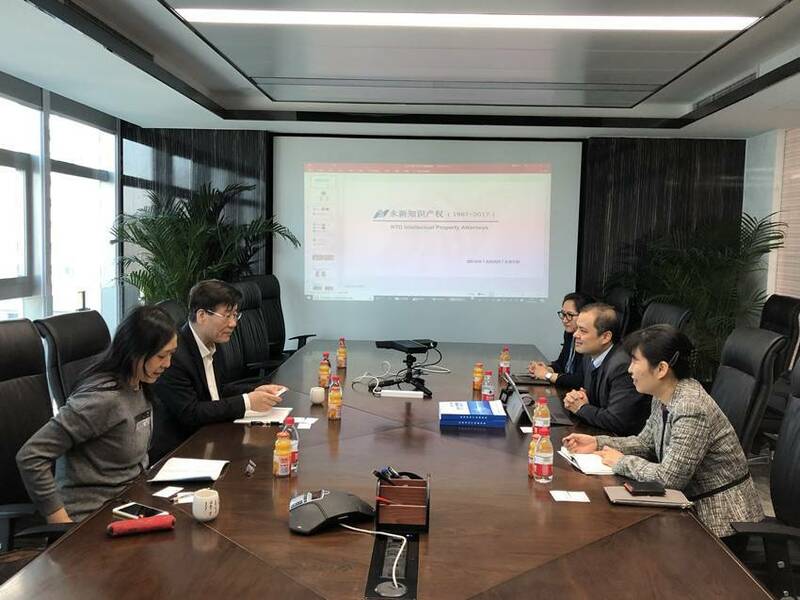 On March 5, 2019, Mr. Ma Fu, president of the China Trademark Association (CTA), visited NTD and met with Christopher Shen, senior partner, Ge Aidi, manager of Trademark Department, and Li Qian, legal counsel. During the meeting, Mr. Ma asked NTD to use its professional advantages to further extend the intellectual property services, and seize the opportunity to help clients with the brand cultivation and growth. Mr. Ma also expected NTD, vice-president unit of CTA, to support CTA as usual and offer any constructive advice on the work of the International Exchange Committee and the Academic Committee. Through cooperative efforts, it is hoped that contributions can be made to the promotion of implementing national trademark strategy and further development of all work under CTA.